I’m no stranger to vending machines, there are plenty of them back in the UK but they’re rubbish – overpriced and full of the same old generic stock. Here in Japan they’re very different, not only are they everywhere(my small home station has about eight) the selection and pricing is always good – seemingly unaffected by inflation like back home. 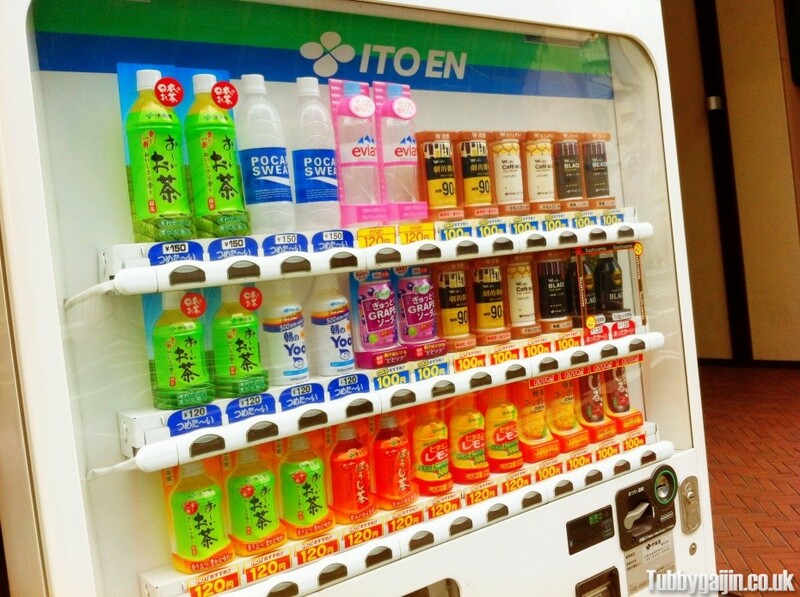 Above is a pretty standard vending machine, this one has green tea, water, sports drinks and even hot tea and coffee – during the summer the hot drinks are usually swapped out for more chilled options and electrolyte drinks like Pocari Sweat. 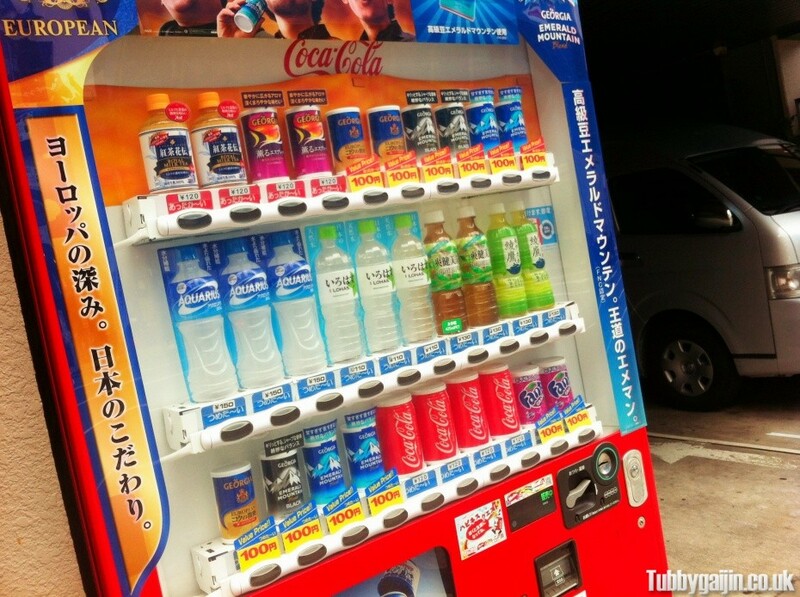 In fairness though, this is an Ito en(Japanese tea company) vending machine and it’s to be expected that their machines would be full of their products – so what about Coca Cola’s offerings? Pretty similar story, hot drinks, tea and water dominate the first two rows, with Coca Cola itself hiding down in the bottom row. No Diet Coke, Coke Zero, Sprite of Dr Pepper either – you can usually find these at a convenience store. Interestingly, it’s the super-cheap machines that tend to have the biggest selection. 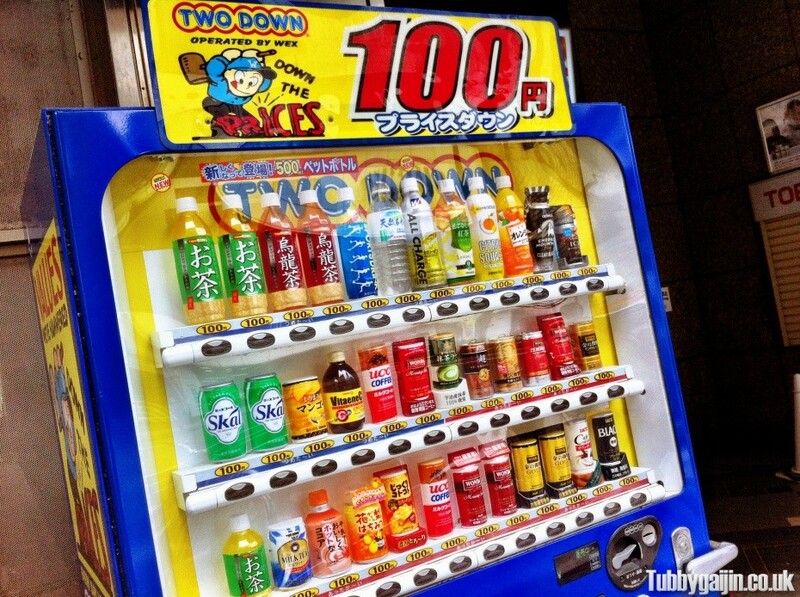 This 100yen jobbie has all sorts, hot tea & coffee, water, juice, health drinks and even soup! Back in the UK I’d drink fizzy drinks way too often, sometimes getting through 2-3 cans a day – an expensive and unhealthy habit. Since coming to Japan I drink that stuff very rarely so fingers crossed I’m healthier for it!